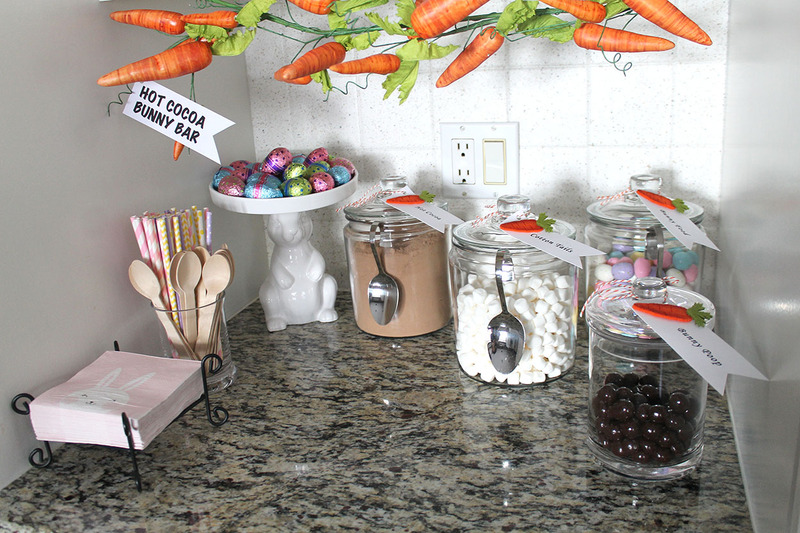 Using a small area on our kitchen counter, I created a hot cocoa bar for our family and any friends who happened to visit us during the holiday season. Click here to see how it came together. Well, the new year came and the hot cocoa bar stayed. 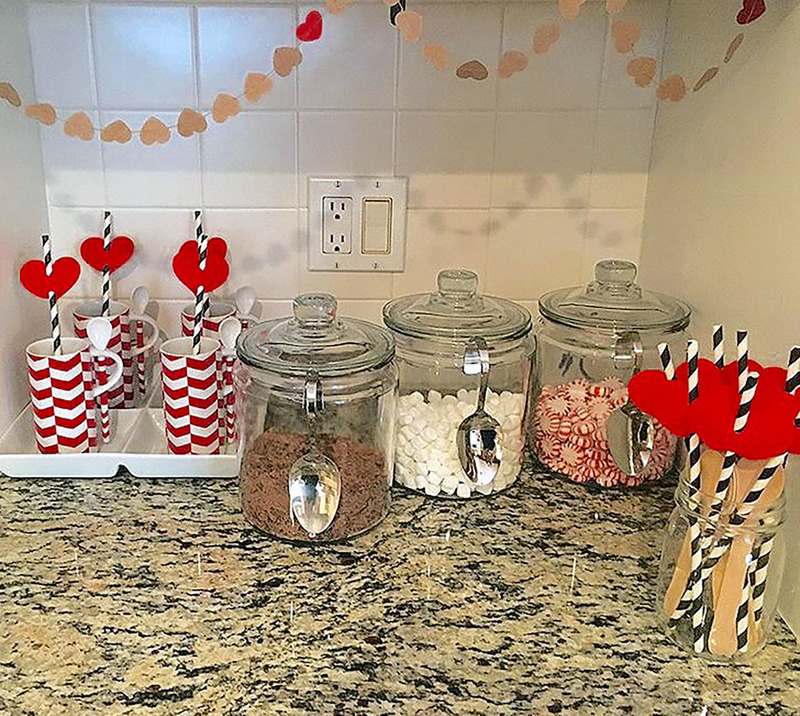 Around mid January, I turned it into a valentine hot cocoa bar…complete with red mugs, heart-embellished straws, and a valentine garland. 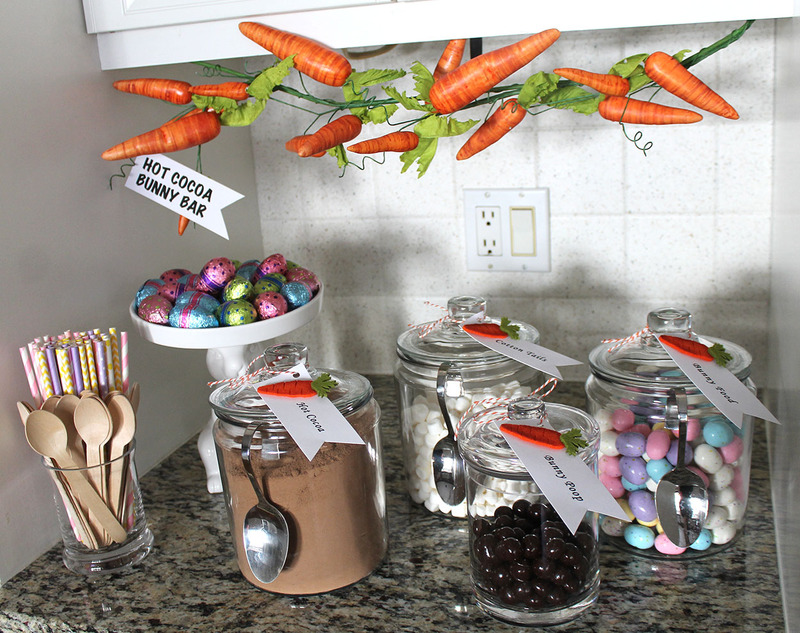 Now that the “heart holiday” is past, I thought a hot cocoa bunny bar would be perfect! 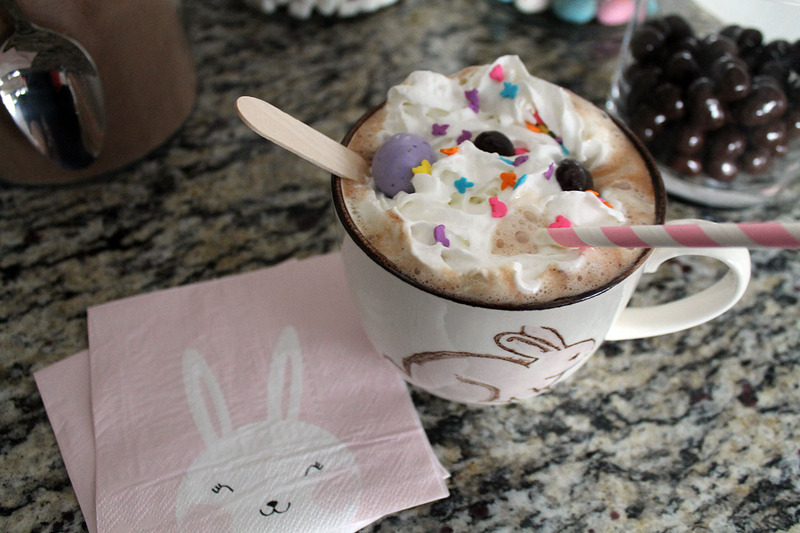 After all, Easter is early this year and winter weather will be lingering a bit longer…that warm chocolatey drink can be enjoyed for another month or so. 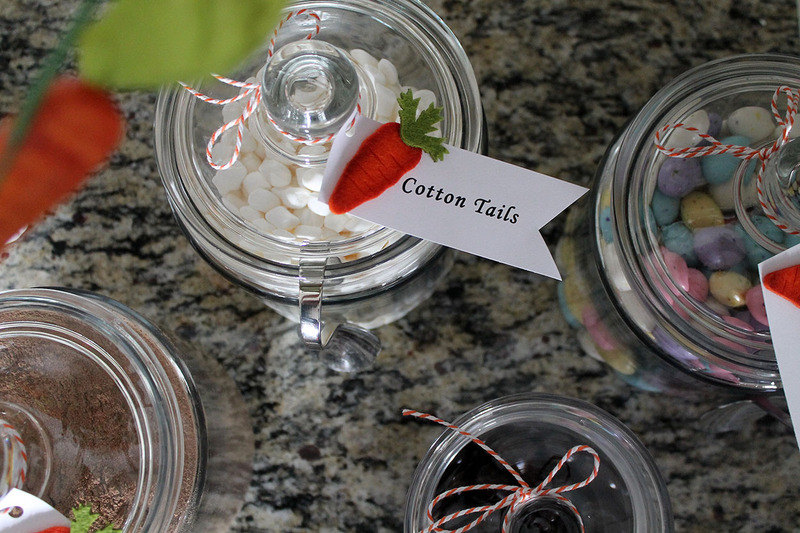 I used the same glass canisters with the hanging spoons, but the contents changed a bit. 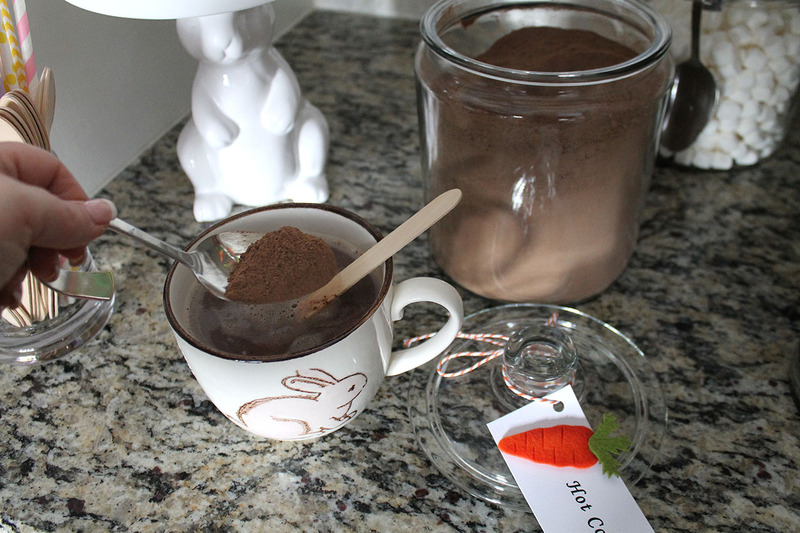 Of course, there is still the cocoa powder! 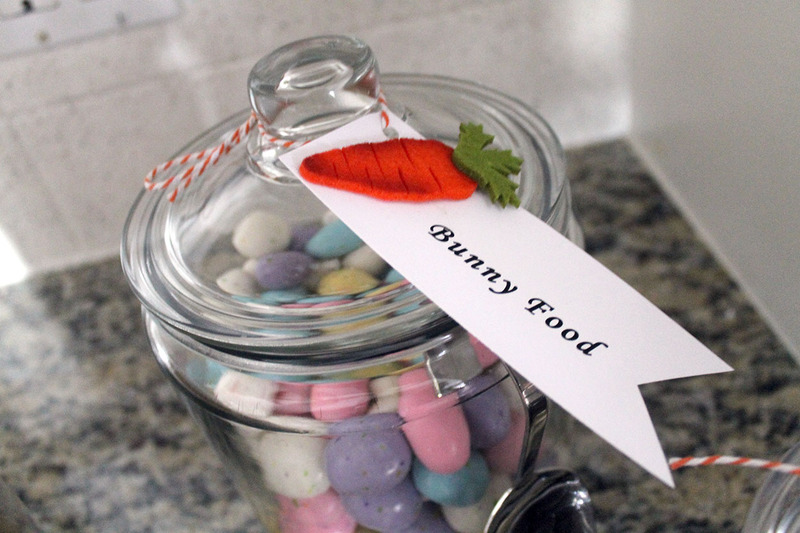 How about some “bunny food” (malted milk eggs)? And where does all that food go? Well, we know what bunnies are good at doing after they eat. 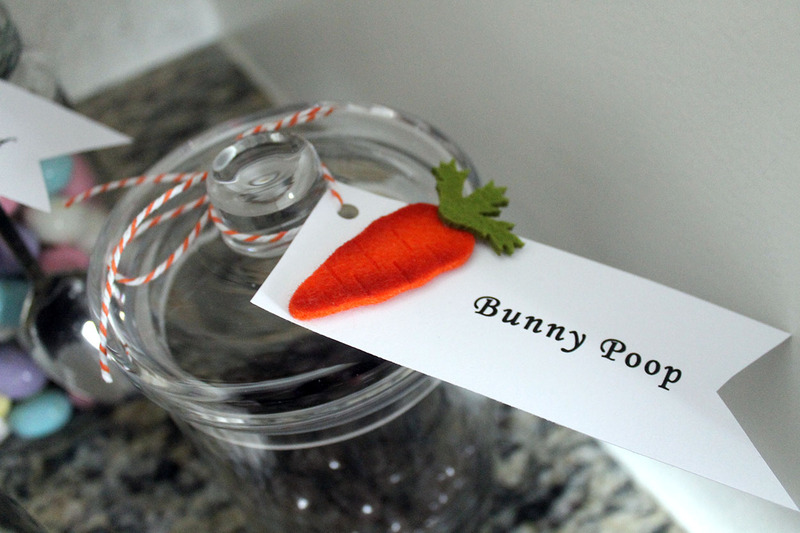 The “bunny poop” is really chocolate covered hazelnuts! 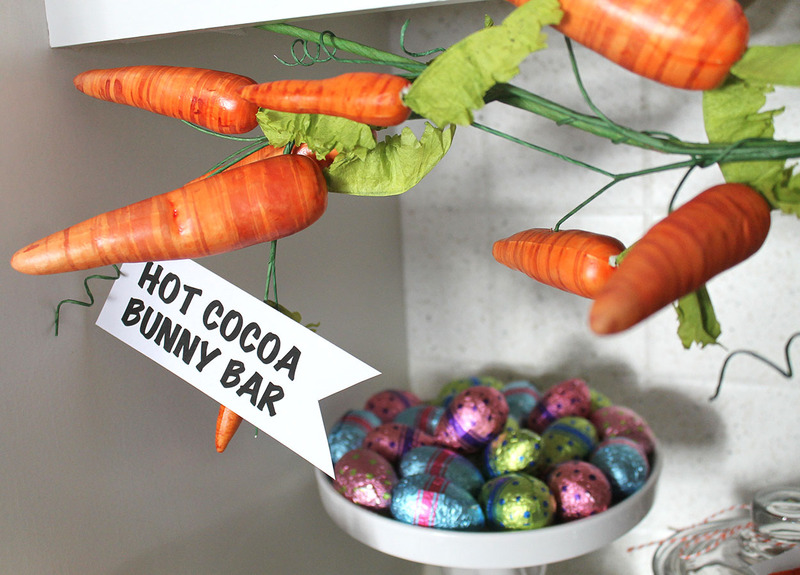 Add some “cotton tails” for more hot cocoa fun! 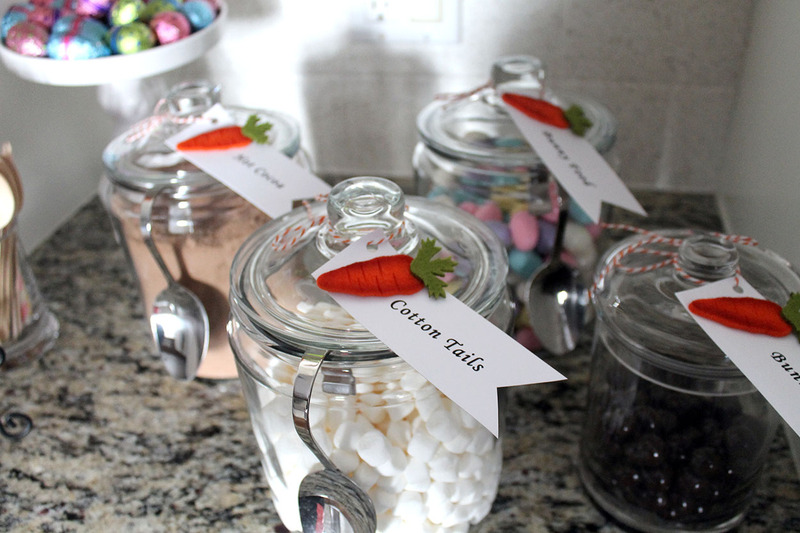 Assemble it all together with tags labeling the canisters. 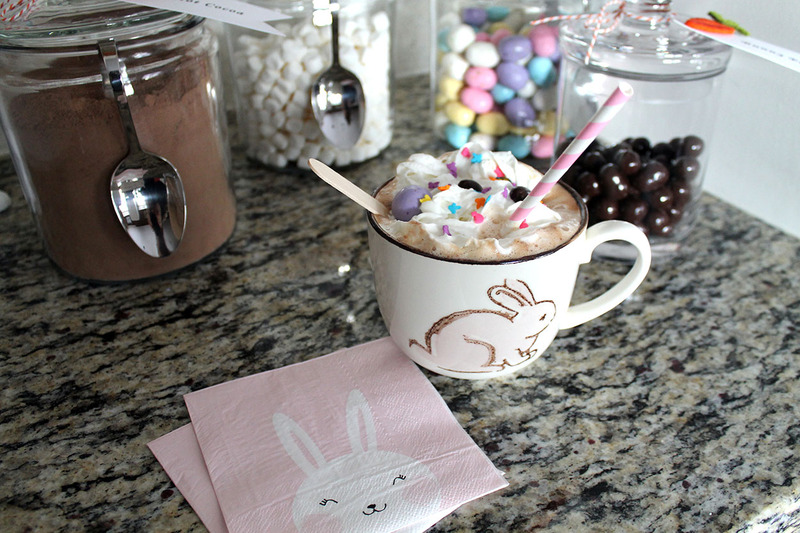 Add some spoons and straws, and you are ready to enjoy a cup of hot cocoa…bunny style. 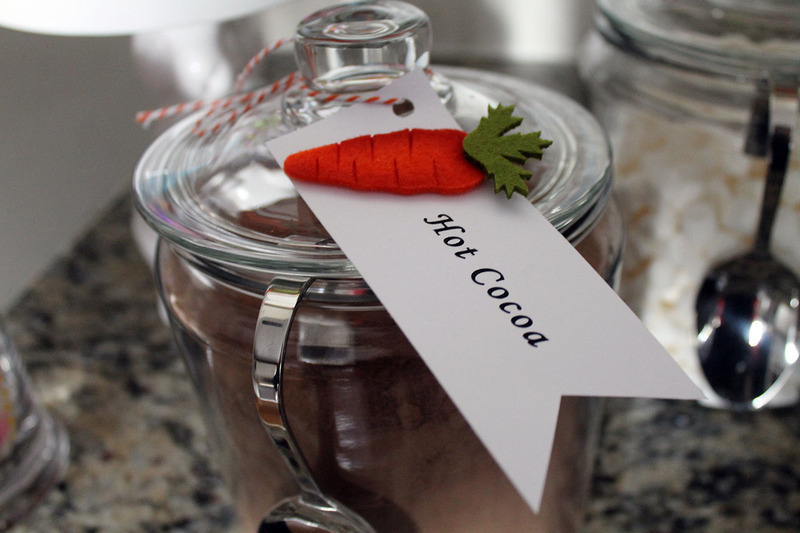 Such a fun twist to the hot cocoa bar that began back in December!